Iris ensata var. pabularia (Naudin ex Ermens) Wittm. 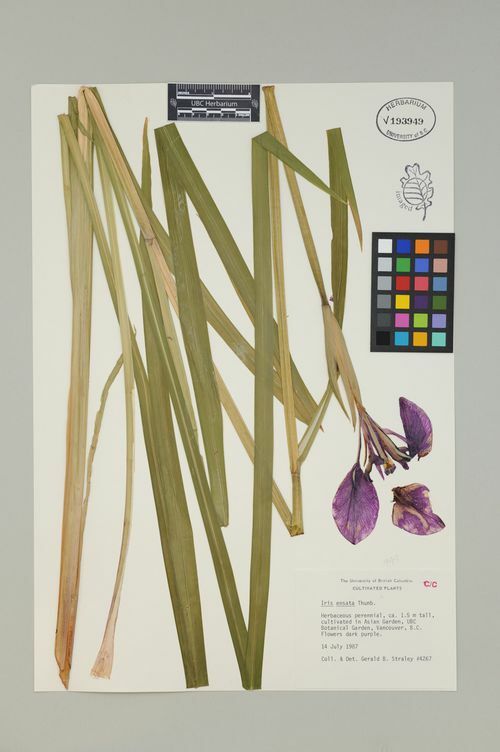 Iris laevigata var. hortensis Maxim. Iris pabularia hort. ex Hasselbr. yu chan hua in language. Thunberg CP (1794) XXXIV. 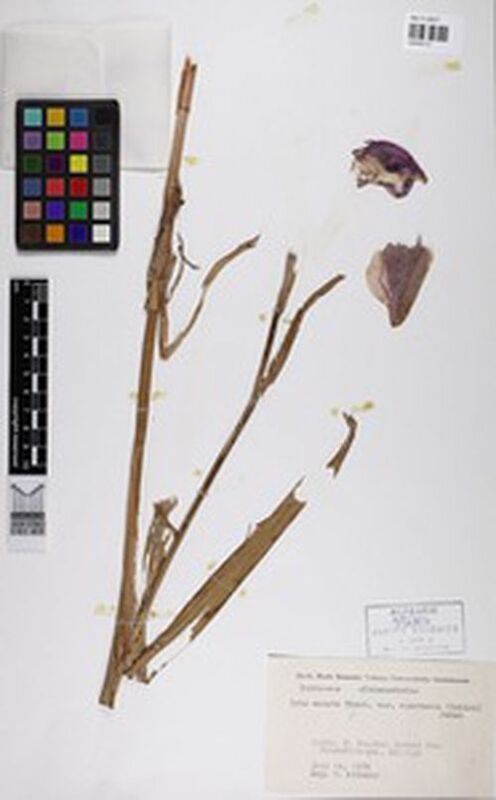 Botanical Observations on the Flora Japonica. Transactions of the Linnean Society of London 2(1): 326-342. doi: 10.1111/j.1096-3642.1794.tb00268.x.